NICHOLAS LLERANDI: "Cracked", de Standby, Nicholas Llerandi, 2015. 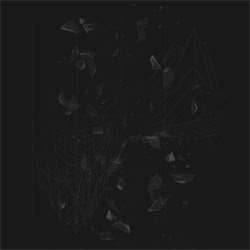 MARK WINGFIELD: "A Conversation We Had", de Proof Of Light, Moonjune Records, 2015. PAOLO TOMASELLI: "There Is Hope", de Floating Bridges, Quadrant Records, 2014. 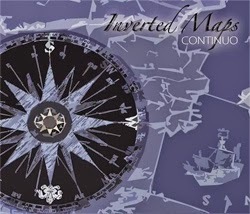 CONTINUO: "The Gura Circle", de Inverted Maps, Continuo, 2015. HASIER OLEAGA: "Argitasunaren Alde iIluna", de Cantus Caterva II, Errabal Jazz, 2014. 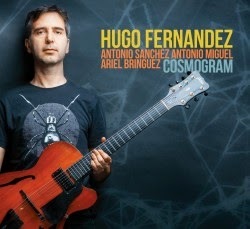 HUGO FERNÁNDEZ: "Sublime", de Cosmogram, Origin Records, 2015. TELMO FERNÁNDEZ & MARCOS PIN DUOLOGY: "I Wish I Knew", de Take A Second, Free Code Jazz Records, 2015. TOLGAHAN COGULU: "Re Hüseyni", de Atlas, Kalan Müzik Yapim, 2012. SKYHARBOR: "Miracle", de Guiding Lights, Basick Records, 2014. MICHAEL BERNIER & RITCHIE DeCARLO: "Electric Sheep", de Michael Bernier & Ritchie DeCarlo, Uniblab Music, 2014. 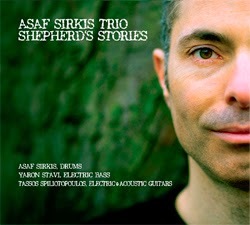 ASAF SIRKIS TRIO: "Dream Sister", de Shepherd Stories, Stoned Bird Productions, 2013. SIMAK DIALOG: "5,6", de Live At Orion, Moonjune Records, 2015. 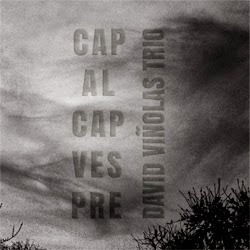 DAVID VIÑOLAS TRIO: "La Felicitat De Sadie", de Cap Al Capvespre, Quadrant Records, 2014. OH TRIO: "Mozo Xeitoso", de Cancionero Gallego, Producciones Efímeras, 2014. EFRÉN LÓPEZ: "Plaerdemavida", de El Fill Del Llop, Buda Musique, 2015. 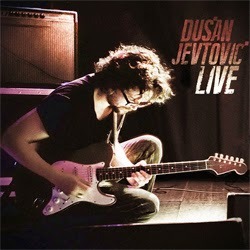 DUSAN JEVTOVIC: "Am I Walking Wrong? ", de Live, Moonjune Records, 2015. INNA ZHELANNAYA: "Grief", de Izvorot, Inna Zhelannaya, 2014. DEWA BUDJANA: "Payogan Rain", de Hasta Karma, Moonjune Records, 2015. 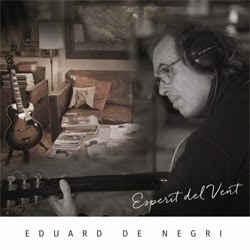 EDUARD DE NEGRI: "Blauett", de Esperit Del Vent, Quadrant Records, 2014. TESLA MANAF: "It's All Yours: part 4", de Tesla Manaf, Moonjune Records, 2015. ZHENYA STRIGALEV'S SMILING ORGANIZM: "Personal Opinion", de Robin Goodie, Whirlwind Recordings, 2015. AARTI: "La Cabina Oscura", de Tritonia, Quadrant Records, 2014. DAN TEPFER: "Improvisation 21", de Goldberg Variations / Variations, Sunnyside Communications, 2011. PERCY JONES / SCOTT MCGILL / RITCHIE DeCARLO: "Yo Cath", de Third Transmission, Uniblab Recordings, 2015. THE SIRKIS/BIALAS INTERNATIONAL QUARTET: "Magnolia", de Come To Me, Sirkis/Bialas, 2014. CONTINUO: "Nuages", de Inverted Maps, Continuo, 2015. 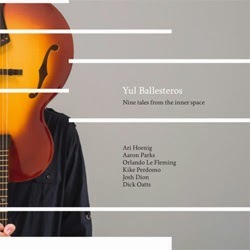 YUL BALLESTEROS: "Silence", de Nine Tales From The Inner Space, Yul Ballesteros, 2015. CONTRACUARTETO: "Graffiti", de Sinestesia, Animales En La Vía, 2011. GUILLERMO BAZZOLA: "One Thousand Waltzes", de Hora Libre, Blue Art Records, 2014. JOAQUIN CHACÓN & MARIANO DÍAZ: "Notas Discordantes", de Skytrain, Errabal Jazz, 2014. SKYHARBOR: "Kaikoma", de Guiding Lights, Basick Records, 2014. STICK MEN: "Van Dyke Improv", de Power Play, Stick Men, 2014. 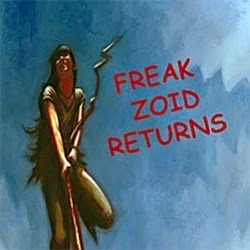 FREAK ZOID: "Pasted Trip", de Freak Zoid Returns, Uniblab Recordings, 2011. MARK WINGFIELD: "A Thousand Faces", de Proof Of Light, Moonjune, 2015. CRISTIAN GALLARDO TRIO: "Jota", de Desiertos, Cristian Gallardo, 2015. VALENTÍN CAAMAÑO TRIO: "Well You Needn't", de The Joy, Free Code Jazz Records, 2014. JUYMA ESTÉVEZ TRIO: "Vaste Queimar", de Océanos De Porcelana, Free Code Jazz Records, 2014. 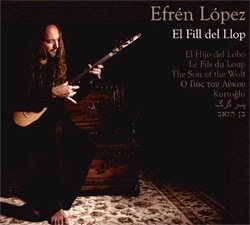 EFRÉN LÓPEZ: "Kurtoglu Zeibegi", de El Fill Del Llop, Buda Musique, 2015.